The Turner crew recently manufactured and installed 12′ illuminated reverse channel letters for RGB Eye Associates, an ophthalmology practice in Sherman, TX. 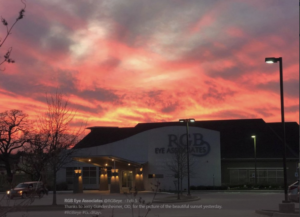 Recognized throughout North Texas communities as a premier eye care treatment center, patients come to RGB for cataract and Lasik surgery as well as other vision issues. 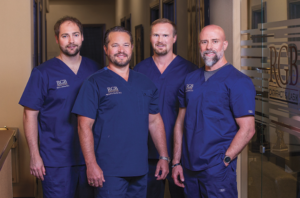 The doctors at RGB combine old-fashioned patient care with technologically advanced techniques. 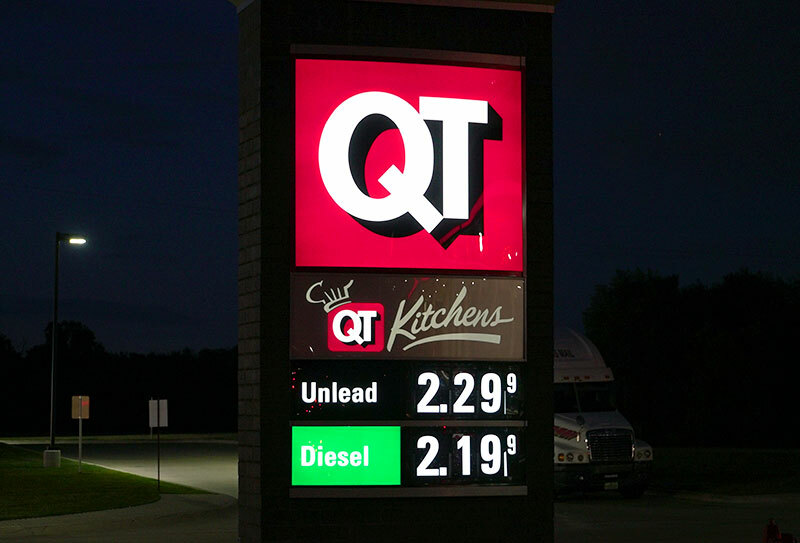 Their location is easy to find- just look for the large RGB sign! How can we help your business stand out? Spectacular photo of a sunset behind the RGB location. Photo by Jerry Gundersheimer, OD. 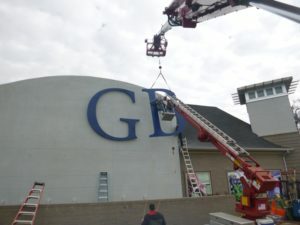 Turner Sign System’s installation of RGB’s sign in Sherman, TX. In addition to fostering warm and caring relationships with patients, each RGB doctor strongly believes in the philosophy of giving back to the community. 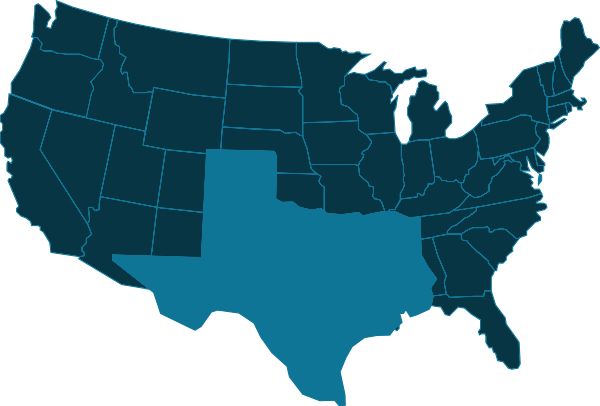 They are all actively engaged in various service projects in the Texoma area. What will be your most dramatic business expense in 2019?